“Waterman” The Animated Series in HD! It brings me great pleasure to announce that the entire “Waterman” series has finally come home to WatermanStudios.com in glorious HD video format. Now you can you watch all nine episodes of the award-winning animated series in one place (even the long lost Episode Eight guest starring Reel Big Fish!) With the conversion to video, you can now watch however, whenever, and wherever you like. Releasing the series in HD video format is something that the fans have been requesting for a long time, and with the power of suggestion I believe that we can make this experience even sweeter. Each month I’m going to release one piece of exclusive “Waterman” series related content to the new “Waterman” The Animated Series page. So, what do you want to see? That’s right, I’m leaving it all up to you. Is there an episode of Puppets in the Park that you miss dearly? What about a look behind-the-scenes at some original artwork? Did you know that I wrote an entire episode that was never produced? Want the script? All of this could be yours, all you have to do is email me at Bryan@WatermanStudios.com or leave a comment below. In fact, I’ll even start us off with the second most requested “Waterman” related content ever. 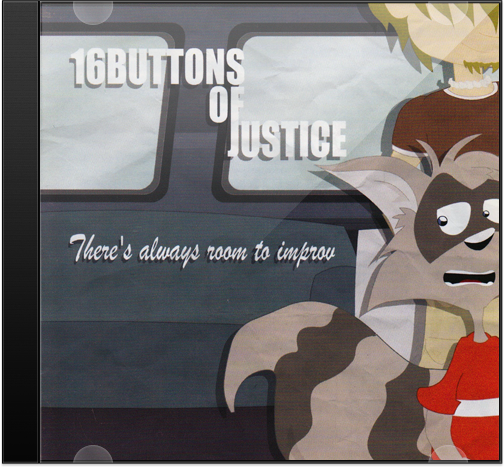 For a limited time, you can download the entire 16Buttons Of Justice “There’s Always Room to Improv” album for the low, low, price of no bucks! That’s right. Just take it.